BEFORE the match Mick Byrne had boldly declared that the Wallabies' skills were just as good as the All Blacks. Byrne, Australia's skills coach, is well placed to offer judgment, having previously held the same role with New Zealand for a decade. He had seen sufficient evidence in training, Byrne reasoned, now all that was left was producing the silky stuff out on the park in a big Test. 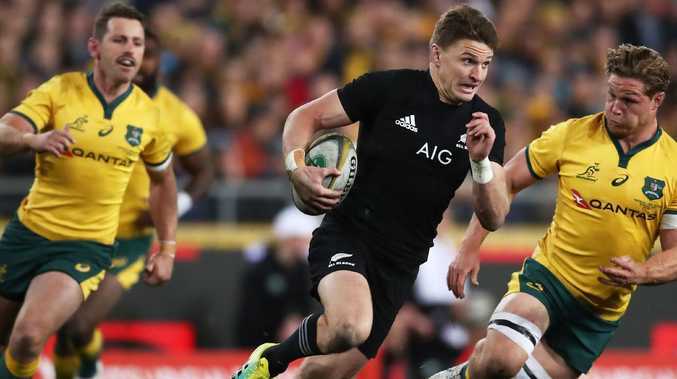 On that score there is still a little work to do as the All Blacks reprised their familiar role as Bledisloe Cup bullies in a 38-13 win to put one firm hand on the big trophy for yet another year. Another win & another record for the #AllBlacks. They have now won 13 straight #RugbyChampionship Tests dating back 2016. The Wallabies' cup drought is 16 years and counting and they now face the Mt Everest like hurdle of winning at their Eden Park graveyard next Saturday and then finishing the job in Yokohama. Don't put your house on that. It wasn't all doom and gloom but Australia's handling issues and lack of patience again came back to bite, as did set piece wobbles as the All Blacks dominated both the scrums and lineouts. Australia led 6-5 at halftime but, presumably after some stern words from Steve Hansen, New Zealand owned the second half with increased vigour and purpose and Jack Goodhue started the procession as he streaked away for his first Test try in the 43rd minute. It was triggered by winger Waisake Naholo who executed a one-on-one strip on fellow Fijian Marika Koroibete. The All Blacks sensed the opportunity and shifted wide immediately as Goodhue exchanged passes with Rieko Ioane and dotted down under the posts. eauden Barrett was the next to steal the show as he scored the All Blacks' third try. The back to back world player of the year had entered the match under unprecedented pressure as a chorus of Kiwi observers spruiked the case of Crusaders tyro Richie Mo'unga. But the All Blacks selectors aren't so easily swayed and Barrett repaid their faith with a typically freakish individual effort. Dane Haylett-Petty spilt possession and Barrett - a Real Madrid enthusiast - channelled Luka Modric by toeing the ball ahead at near full speed while shielding the chasing Will Genia to collect and score. It was game over at that stage and the bumper ANZ Stadium crowd of 66,318 could only sit back and reluctantly admire as the black machine cranked into overdrive. Man of the match Brodie Retallick punked Bernard Foley with a show and go try and the wheels really started falling off for Australia when Naholo crossed for a late double. Rubbing salt into the wound was an ankle injury to Wallabies superstar Israel Folau, who limped off in the second half and must be in severe doubt for the rematch in Auckland. Debutant Jack Maddocks at least provided one bright spot for Australia as he crossed for his first Test try. The Wallabies led by one at the break after an intriguing, if not always high quality, first half. It took just two minutes for returning All Blacks lock Retallick to make his presence felt, winning a breakdown penalty and then pinching a lineout shortly after. Naholo was awfully lucky when his lifting tackle on Folau was only deemed worthy of a penalty but it was first blood Wallabies as Reece Hodge confidently banged over a 40m penalty on the angle. New Zealand then suffered a significant setback as key centre Ryan Crotty was felled by friendly fire. Crotty, who has a history of concussions, was helped from the field in the 12th minute after a sickening head clash with Crusaders chum Goodhue. Anton Lienert-Brown entered the fray in his place as Foley extended the lead to 6-0 with an easy penalty from straight in front. Both teams soaked up serious pressure at different moments and Kurtley Beale was kicking himself after a spilling a pass following a crowd pleasing Tatafu Polota-Nau breakaway. It looked like the Wallabies might improbably keep the All Blacks scoreless for the first half when Barrett missed a straight on penalty in the 38th minute. But halfback Aaron Smith opened the world champions' account with a cracker after some unbelievable handling down the short side. Wallabies flanker Lukhan Tui fell off a tackle as Ben Smith sparked the raid which featured some great skills from Goodhue, Naholo and Kieran Read who popped the final pass. That shot of confidence flowed through into the second half and the men in gold simply couldn't keep up with the pace. 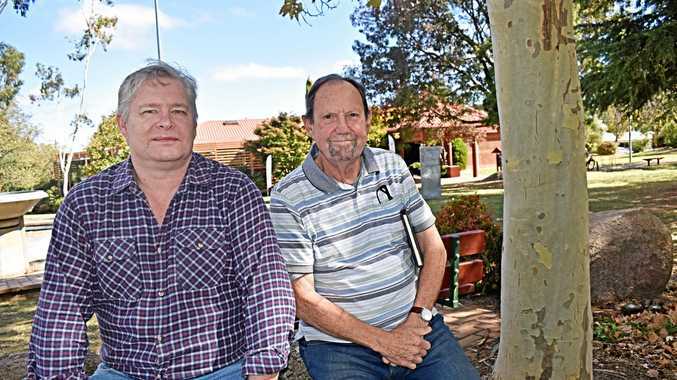 News A group of keen writers is hoping a new link-up with the Border Post will provide an avenue for artists yet to be seen or heard. News New funds to help build quirky sport. News MTCQ hold event on Granite Belt.